Peter MacMahon is ITV Border's Political Editor. At such a crucial time in English and Scottish history he is responsible for reporting and analysing events at Westminster and Holyrood and how they impact people on both sides of the Scottish border. He also presents the ITV political programme Representing Border. He was formerly Deputy Editor of The Scotsman newspaper. Scottish Secretary hits out at Brexiteers over Cabinet resignations as Tory rifts deepen. 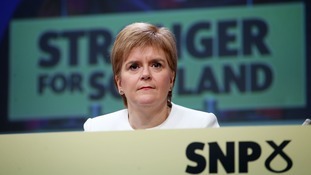 The SNP leader plays long game over second independence referendum. Our political editor gives his take on a dispute over P1 pupil assessment rooted in Curriculum for Excellence philosophy. 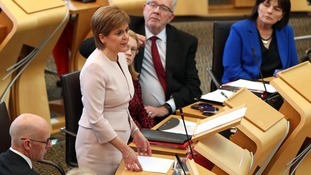 Our political editor Peter MacMahon gives his take on First Minister Nicola Sturgeon's programme for government speech. Our political editor Peter Macmahon blogs on what the latest GERS figures say about the case for Scottish independence. First Minister replaces close friend as health secretary in radical reshuffle. Is Westminster's Brexit 'power grab' the Tories new poll tax? Tories and Nationalists in new constitutional battle over SNP's heightened EU Withdrawal Bill anti-Westminster rhetoric. Problems ahead as Nicola Sturgeon hopes to persuade Scots of the economic benefits of leaving the UK. South of Scotland MSP calls for debate on limiting benefits in new Scottish welfare system.